FRANQUELIN, JEAN-BAPTISTE-LOUIS, cartographer, king’s hydrographer at Quebec; b. c. 1651 at Saint-Michel de Villebernin (Indre), came to Canada in 1671; d. in France after 1712. Franquelin came to Canada to trade, and says that he was quite successful in his first three years. In fact, he seems to have made sufficient profits to keep himself for the following nine years – unless his host, Jean Juchereau* de La Ferté, was supporting him. In 1674, the governor, Buade* de Frontenac, persuaded him to give up trading in order to devote his time to mapmaking. Louis Jolliet* had returned to Quebec after his exploration of the Mississippi River, and had drawn a map of his route from memory. The governor wished to have a larger, more polished and complete map to send to Paris. So from 1674 to 1693, Franquelin drew maps to accompany the dispatches to France of the governors and intendants. Among these were the largest and most artistic maps made in Canada in the 17th century. It is likely that he learned this art as a boy, for cartography was being taught in the colleges of France at the time. Franquelin’s career at Quebec suggests that when coming to Canada he brought with him his drafting instruments, paints, and brushes. Thus he was the only person in Quebec equipped to do a professional job. He won notice by colouring his maps and decorating the unexplored regions with trees, beaver and caribou. By 1675, he had completed his “Map of the discovery of Sr. Jolliet.” It showed the canoe route, with portages, from Montreal to the western end of Lake Superior, to the Mississippi, and on to the Gulf of Mexico. It was a large map, measuring 100 by 67 centimetres. Franquelin’s earlier maps were signed Joannes Ludovicus Franquelin pinxit, which suggests that he had a classical education, and liked the old-world tradition. He was ten years at Quebec before adopting the colonial custom of signing his work in the vernacular. In 1681, he showed courage and independence in producing a map of North America in four parts, each measuring 100 by 68 centimetres. Richelieu had decreed in 1634 that longitude was to be measured from Hierro (in the Canary Islands), but on this map Franquelin stated that he measured longitude eastward from the Azores. However, neither the governor nor the intendant of New France, nor the authorities in Paris considered that Franquelin was flouting French law in so doing. As he marked Cape Race (Newfoundland) at longitude 338° (measured eastward), it seems that by the “Azores” he meant Corvo, the most westerly of the northern chain of the Azores. Cape Race was reckoned 22° west of it. From mariners he had learned that the safe route from France to Canada was by way of the Azores. On passing Corvo, they would change course to 22° north of west, and after moving 2° of longitude west of Corvo, were generally in sight of Cape Race. Corvo was considered to be the most westerly land of the continent of Europe, and Cape Race the nearest point of North America to it. In November 1683, governor Le Febvre* de La Barre sent his dispatches to Paris with the 22 year-old Pierre Le Moyne d’Iberville, and the maps illustrating them with their author, Franquelin, who travelled at his own expense. Cavelier* de La Salle, who went to France at the same time, got Franquelin’s ear, and in Paris the following year, Franquelin signed his “Map of Louisiana or of the voyages of Sr. de la Salle and of the countries which he discovered between New France and the Gulf of Mexico in the years 1679, 80, 81 and 82.” This map has been most extensively copied. The original measured 180 by 140 centimetres, but most copies are on a reduced scale. From La Rochelle, La Salle sailed in 1684 on his expedition to the Gulf of Mexico, while Franquelin made for Quebec. In 1685, Le Febvre’s recently arrived successor, Brisay de Denonville, wrote to the minister of Marine of the need for a teacher of navigation at Quebec, since the subject had not been taught since the death of Boutet* de Saint-Martin in 1683. Denonville recommended either Franquelin or Louis Jolliet. Franquelin was chosen. The news of his appointment was brought to Quebec in 1686 by Bochart de Champigny, who had come to replace de Meulles as intendant. Franquelin did not want to accept the appointment, since teaching would make inroads on his time for mapmaking, and the salary of 400 livres a year was altogether too low. To rent a house large enough to accommodate all those seeking instruction in navigation would cost, he said, 300 livres a year. He did not mention a further embarrassment. He was no longer a bachelor, for on 4 Feb. 1683 he had married Élisabeth Chesné (or Chesnay), daughter of the notary Claude Auber*, recently widowed and the mother of eight children. Franquelin had discovered that ten people could not live as cheaply as one, especially when that one was not used to living cheaply. In spite of all these obstacles, he accepted the appointment on the orders of the governor, who held out hope of an increase in salary. In 1686 he signed his name to a map adding the title “king’s geographer,” and the following year received his commission as “the king’s hydrographer at Quebec,” thereafter adding this title to his signature. But he was not content with his position. Denonville and Champigny thought up a possible solution to his difficulties, which would suit them as well. They were not at all satisfied with the engineer Villeneuve*, who was slow in drawing plans, so they wrote to the minister of Marine suggesting that Franquelin be given Villeneuve’s salary (as well as his own) and turn over the teaching of navigation to the Jesuits. When, in 1688, no reply to their suggestion had been received from the minister, Franquelin made another voyage to France at his own expense to plead his cause. He brought with him a tmost beautiful map of all then-known North America, in answer to a request by the court for a map showing the boundary lines between New France and New England. With the map, he presented a petition in which he repeated his arguments for an increase in salary. He asked that he be given, in addition to his present salary, that of an engineer in Canada, for should he continue to teach and to turn out maps annually, he would have to employ a draughtsman. Louis XIV was sympathetic, and wrote to the governor and the intendant that he would be willing to approve the appointment of Franquelin as engineer, if Denonville so wished. Meanwhile, Villeneuve was to be sent to France, and in his absence his salary was to be given to Franquelin. The king sidestepped the question of Franquelin’s permanently holding two jobs. Franquelin returned to Quebec, and Villeneuve was given leave of absence. But in Quebec, in that summer of 1689, the news about Franquelin and Villeneuve was overshadowed by other news. The ships brought word that France was at war with England, the Netherlands, and Spain and that Denonville was to be replaced as governor of New France by Frontenac, who was coming with instructions to attack Albany by land and Manhattan by sea. 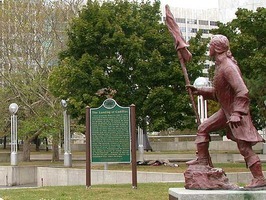 When Frontenac arrived at Quebec in October, he found the colony in a state of fear, after the terrible massacre by the Iroquois at Lachine in August. Only the Iroquois were ready for war. Denonville and Villeneuve were counted as fortunate when they sailed from Quebec in November. In France, Denonville again urged that Franquelin be relieved of his task of teaching, since he was not interested in it and the Jesuits would do it better. 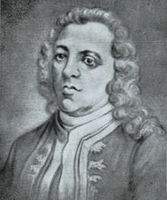 Franquelin was acting engineer from November 1689 until at least June 1691, when he drew the plans of the battery at Quebec. It was an exciting time. In October 1690, Sir William Phips* appeared before Quebec with his fleet, and blockaded and besieged the city for eight days. The erecting of emergency defences became Franquelin’s duty, and Frontenac commended him for his efficiency. Franquelin and Cadillac had been in Paris only a month when Villeneuve appeared there unexpectedly, after quitting his job in Quebec. Events started to move rapidly for Franquelin. He lost little time in applying for Villeneuve’s position, but on 1 March 1693 the king decreed that Franquelin was to stay in Paris that year to draw maps of New England, and he appointed Levasseur de Neré, a friend of Frontenac, to be engineer at Quebec. 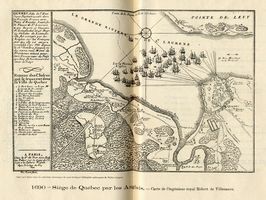 Franquelin appealed to the king, stating that he could not support his family on the salary assigned to the royal hydrographer, and that he had been heavily in debt when he left Quebec. He suggested that if, in recognition of his years of unrewarded service, his family could be brought to Prance, he would settle it on some property which he owned in Touraine, and return to Canada alone. The king gave orders that Franquelin’s wife, eight children, and two maids were to be given free transportation on the first of his majesty’s ships leaving Quebec for France. On 4 November. 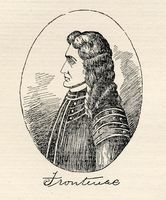 Champigny reported that he had given orders for Franquelin’s wife and family to be provided with all necessities for their return on the Carossol. By the end of the year, the last ship of the season from Quebec reached France and brought the news that the Carossol, when about 350 miles downstream from Quebec, had hit a reef and foundered. Only a few of the crew were saved. In a memoir to the minister of Marine, written while he was distraught, Franquelin pleaded for pity. He now found himself bereft of his wife and ten of 13 children and of the financial assistance which she was bringing to reimburse those friends who were kind enough to advance him money during his stay in Paris. Mutual agreement was reached. Franquelin was offered free transportation to Quebec, and in April his name was on the passenger list of the Charente. In May the king informed Frontenac and Champigny that Franquelin, his hydrographer, was returning to Quebec. But in November, the governor and intendant seemed somewhat annoyed as they wrote from Quebec to the minister that Franquelin had not arrived, contrary to the king’s dispatch. Why Franquelin did not return to Canada in 1694 is a matter for speculation. It is possible that he was retained in Paris at the request of the then near-almighty Le Prestre de Vauban. France was still at war, and dreamed of driving the English from North America. Franquelin could draw maps of strategic points in North America. The fact is that Franquelin did not return to Canada in 1694, or the following two years. He remained in good standing with the king. In January 1697, he was working for Vauban, who was keeping him very busy. 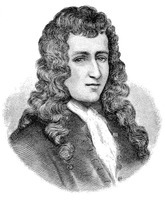 Louis Jolliet had been to Paris between December 1695 and March 1696 and had returned to Quebec with word that he was to succeed Franquelin as professor of hydrography at Quebec. His commission as king’s hydrographer at Quebec was dated 30 April 1697. For this year we have a map of the Mississippi River signed and dated (at Paris): J. B. Louis Franquelin, Hydr. & Geogr. du Roy, 1697. The map professes to show the results of Le Sueur’s explorations of the Mississippi from the mouth of the Wisconsin River northwards. In 1695, Le Sueur had been as far north as Red Wing, Minn. 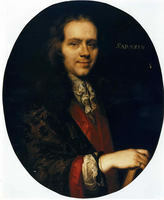 In the winter of 1696–97, he was in Paris. Franquelin’s next known map is signed and dated: Jean Baptiste Louis Franquelin, Geographe du Roy, 1699. It depicts, in four parts, New France, including the Mississippi Valley, and takes account of the discoveries of La Salle’s last expedition, as recorded by Le Clercq*. 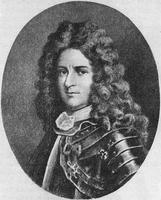 Louis Jolliet died in the year 1700, before the last ships of the year had left Quebec for France. On 18 May 1701 the king formally appointed Franquelin, as he himself had requested, professor of hydrography at Quebec. Yet Franquelin did not come to Canada in 1701, nor the following year. We do not know why. 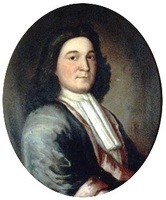 In 1703, Jean DesHayes was appointed to the post. After Deshayes died in December 1706, the governor and intendant asked that the Jesuits be invited to fill his place. In 1708, their request was granted, and the Jesuits remained responsible to the crown for the teaching of hydrography at Quebec until the end of the French régime. In 1701, Franquelin had asked to be appointed hydrographer at Quebec but we have no evidence that he either asked for or was offered the position left vacant by the death of Deshayes. In 1708, he drew a little map of New France, admirably executed, and dedicated to Jérôme Phélypeaux, minister of the Marine and secretary of state, “by his most humble, most obedient and most faithful servant Franquelin.” This dedication reminds us that Vauban (with whom Franquelin had been associated) fell from the king’s favour in 1707 and died in disgrace that same year. Franquelin’s small map, more beautiful than useful, could have been a token of loyalty offered to the king’s minister. It may have been a parting gift. When and where Franquelin died we do not know. We know that he was certified as living when his daughter Élisabeth signed a marriage contract with Joseph Lemieux in 1712, and that his daughter Marie-Anne reported him as deceased when she signed her marriage contract with Jacques Quesnel in 1730. In the year 1708 he was in Paris. Before he died he may have retired to Touraine. Never prominent among the constellations through which he passed, he fades from our sight. As a bachelor, he showed himself a retiring young man, an artistic dreamer wedded to mapmaking. His sudden awakening to the need for adequate recompense for his work followed his marriage. After the death of his wife he started, in Paris, to dream dreams. He would return to Canada, survey all the settled lands in New France, plot roads from Quebec to Albany, Boston, and Acadia, and search for a shorter overland route to Hudson Bay. He never evinced a desire to see his children at Quebec. His passage for Canada was booked, but he did not sail. It would seem that when he had to choose between travel and his studio, the lure of his paint-box and colours decided the issue. BN, MS, Clairambault 879, f.294, “Mémoire touchant les voyages que Franquelin hydrographe du roy en Canada a fait a Quebec et a Paris.” Charlevoix, History (Shea), II. Coll. de manuscrits relatifs à la N.-F., I, 346, 451, 471; II, 94, 117, 124, 155, 253. “Correspondance de Frontenac (1689–99),” APQ Rapport, 1927–28, 97, 144, 174, 208, JR (Thwaites). Jug. et délib., III. Le Clercq, Premier établissement de la foy, II. Gabriel Marcel, Reproductions de cartes et de globes relatifs à la découverte de l’Amerique du XVIe au XVIIIe siècle (Paris, 1893), plates 6, 22, 40. PAC Report, 1899, Supp. Recueil des cartes, plans et vues relatifs aux États-Unis et au Canada, New York, Boston, Montréal, Québec, Louisbourg (1651–1731), éd. A. L. Pinart (Paris, 1893), plates 3, 4, 10. A. Roy, Inv. greffes not., IV, 190. P.-G. Roy, Inventaire de pièces sur la côte de Labrador conservées aux Archives de la Province de Québec (2v., Québec, 1940–42), 1, 254–56. Tanguay, Dictionnaire, I.. ... Jean Delanglez, Life and voyages of Louis Jolliet, 1645–1700 (Institute of Jesuit Hist. pub., Chicago, 1948), 54, 57, 78–81, 85, 90–91, 141, 147, 188–89, 194–95, 197, 205, 236, 239–40. Amédée Gosselin, L’instruction au Canada sous le régime français (1635–1760) (Québec, 1911), 326–41. Henry Harrisse, Notes pour servir à l’histoire, à la bibliographie et à la cartographie de la Nouvelle-France et des pays adjacents, 1545–1700 (Paris, 1872), 194, 197–202, 205–7 209, 211–14. Gabriel Marcel, Cartographie de la Nouvelle-France; supplément à l’ouvrage de M. Harrisse (Paris, 1885), 10–14. ... Jean Delanglez, “Franquelin, mapmaker,” Mid-America, XXV (1943; new ser., XIV), 29–74; “The discovery of the Mississippi,” Mid-America, XXVII (1945, new ser., XVI), 219–31; this article includes a letter from Jolliet to Frontenac. Auguste Gosselin, “Encore le P. de Bonnécamps (1707–1790),” RSCT, 2d ser., III (1897), sect.i, 93–117. P.-G. Roy, “Un hydrographe du roi à Québec: Jean-Baptiste-Louis Franquelin,” RSCT, 3d ser., XIII (1919), sect.i, 47–59..
M. W. Burke-Gaffney, “FRANQUELIN, JEAN-BAPTISTE-LOUIS,” in Dictionary of Canadian Biography, vol. 2, University of Toronto/Université Laval, 2003–, accessed April 24, 2019, http://www.biographi.ca/en/bio/franquelin_jean_baptiste_louis_2E.html.